Proper spring hanger function is critical to the mechanical integrity of process units. This is especially true in power plants with their High Energy Piping (HEP) circuits. Many issues cannot be seen from the ground, and spring hangers are frequently in difficult locations that get overlooked. 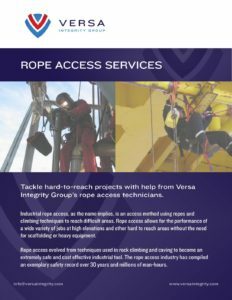 This is where our rope access team comes in. We safely and easily gain access to these locations, and have the training and expertise to perform whatever inspection or maintenance tasks are required. 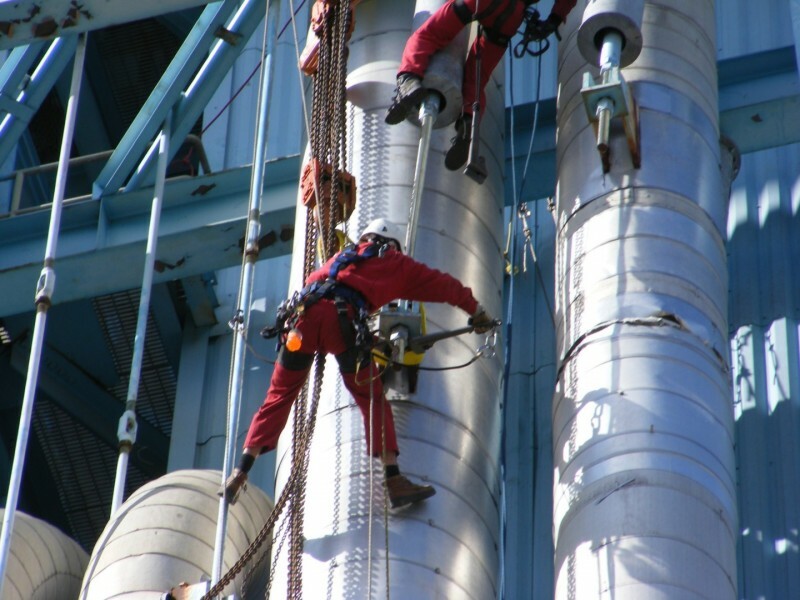 Our rope access technicians can also handle rigging and, when needed, the welding capability to handle installation or replacement work. Aside from the obvious benefits of rope access for spring hangers and pipe supports, we are an authorized installer of Bergen Pipe Supports. Their top-flight manufacturing facility and warehouse can support us with quick turnaround on custom parts and pieces. Thus, minimizing downtime and the cost associated with it. Additionally, we work with other manufacturer’s equipment that may be present in your facility or plant.